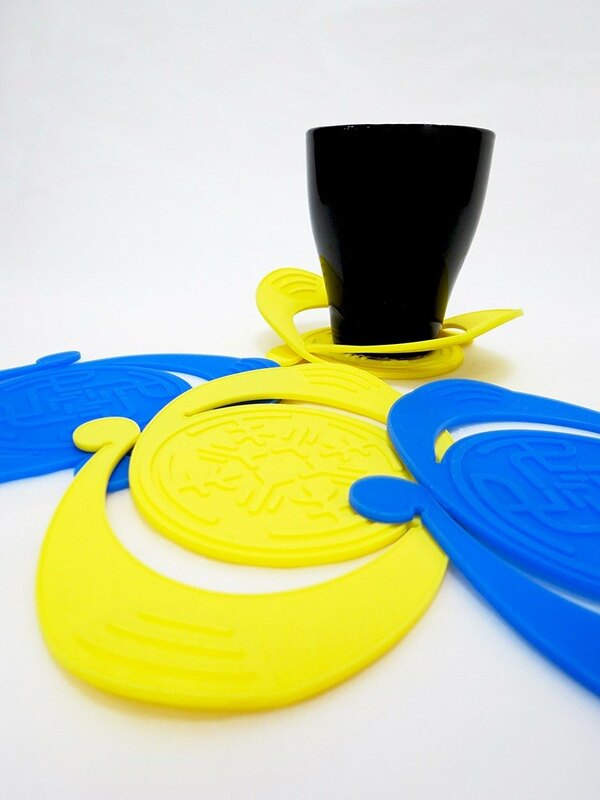 Wing is a multifunction silicone pad, thinking outside the box of the normal single function coaster, the ease of use, multi-function, fun and ecological concern, are the main design direction. Double wing patented structure, provide easy & handy flap over mechanism for heat insulation when holding the hot glass or bowl. The inner portion of loading area crafted with fillister pattern giving a space to hold cup or bowl, dripping water from the cup will capture in the fillister. Besides, silicone material provides better friction to twist open of closed tight bottle.